Laos is a green country that is scarcely populated. Accessing the countryside from major towns and finding yourselves surrounded by little visited areas is common place. We could almost even say “pleonasm”. Whether your tastes run into trekking, bicycling, mountain biking, kayaking, rafting, zip lining, abseiling, rock climbing, caving, home stays, camping, or all of them, we have the understanding of what to incorporate in your nature-oriented enjoyment of Laos. If you would like to get periodical stages of adrenalin-filed explorations or an entire packed program, just let us know. Depending on your level of fitness, expectations and trip duration, we will advise on the right balance of adventure, rest and more ‘classic” cultural exploration if you wish so. Safety is at the forefront of our priorities when planning and operating tours. We hand pick and work with the best operators of adventure specialists. 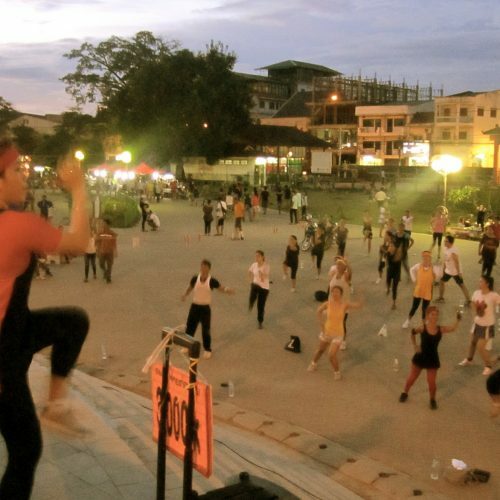 So, go green, go responsible and enjoy Laos’ great outdoors.